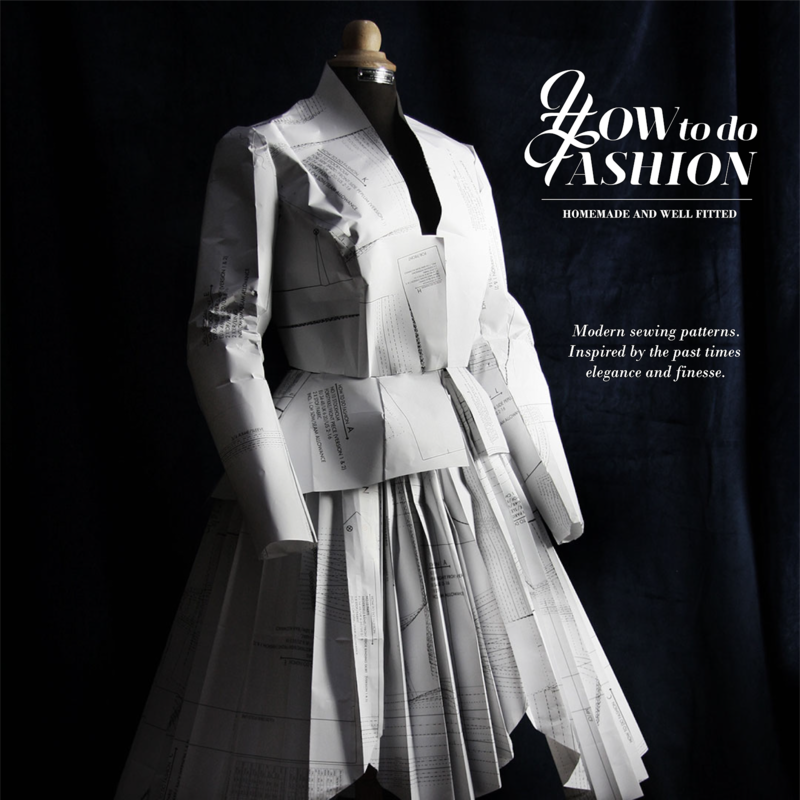 Diary of a Chain Stitcher : The Parker Collection Dress - and bonus fluted cuff pattern piece! 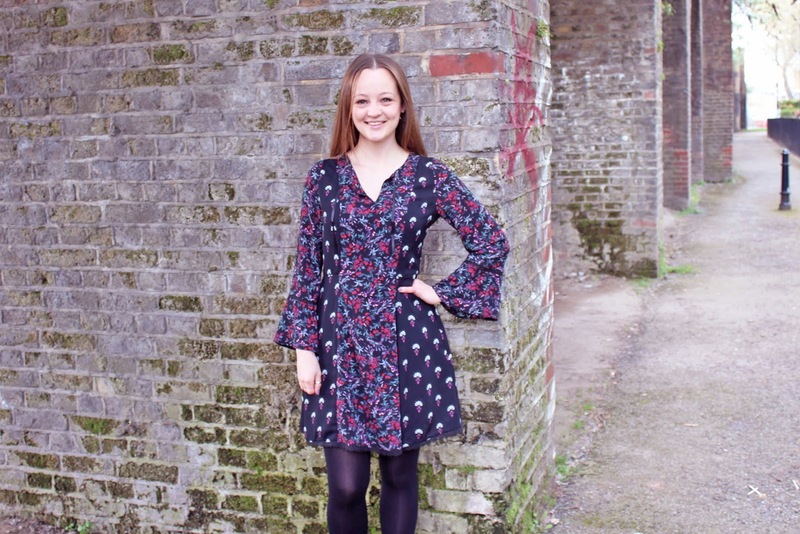 The Parker Collection Dress - and bonus fluted cuff pattern piece! 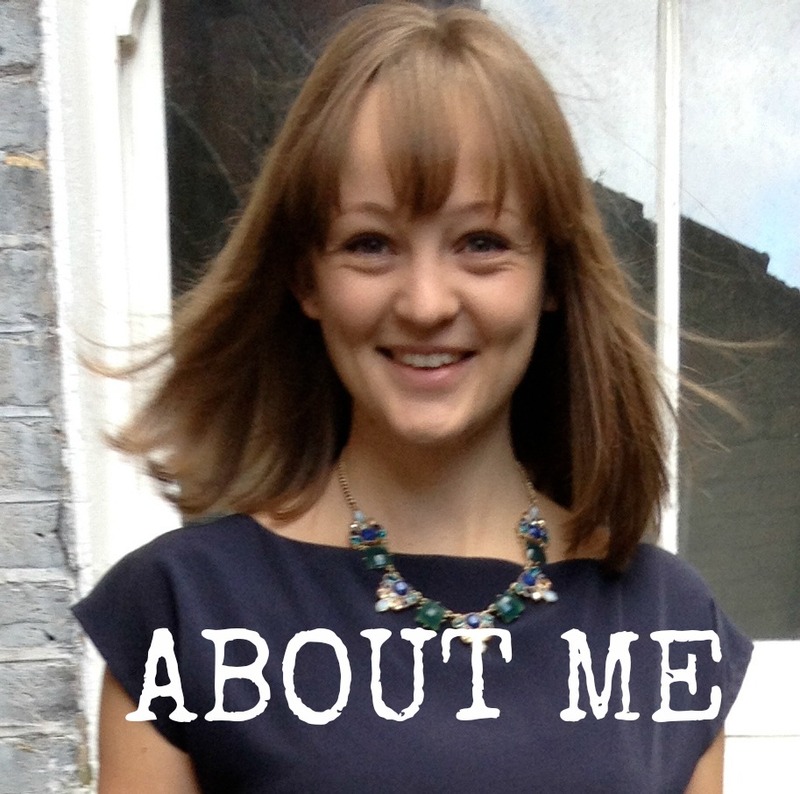 I am so excited to be writing this post today! Some of you may have already spotted the latest release from Tribe Patterns (the pattern line from the ladies at The Foldline); The Parker Collection. 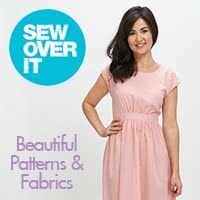 The line is designed by members of the sewing community and as the name gives away, this on has been designed by me! It is the second Tribe Pattern (the first being the Billie Collection designed by Rachel from House of Pinheiro). Rachel and Kate got in touch with me back in the autumn last year to see if I would be interested in working with them and of course I jumped at the chance! Designing my own pattern line has never been an ambition of mine and this remains a total one off but when the opportunity presented itself to work with two incredibly talented ladies offering to bring my design idea to life I'd have been silly to say no. It has been an amazing experience and is such a thrill to see the finished pattern. Rachel and Kate have done a fantastically thorough job and I can't wait to see what you guys make with it! There is so much to say about the design I don't really know where to start. 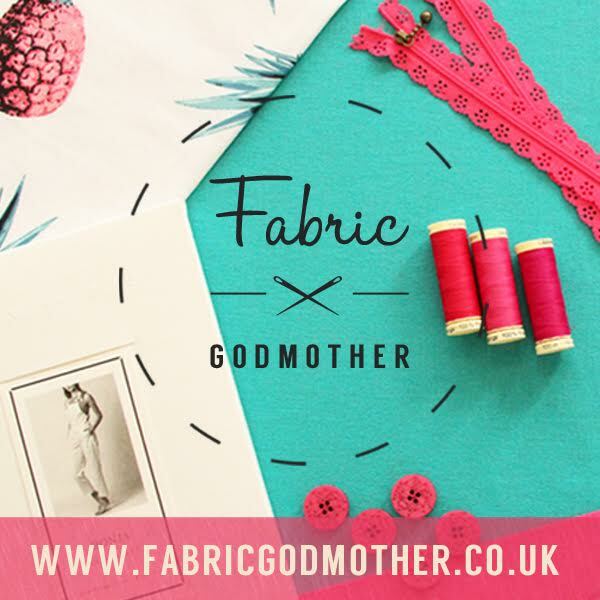 I was keen to come up with a garment that I would be excited to sew and wear and provided a canvas for creativity so everyone could have some fun with making it their own. The bohemian, seventies style has always appealed to me and I'm delighted that it's so on trend at the moment. 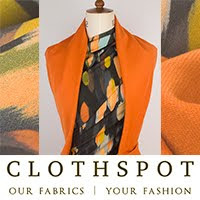 I was inspired by both contemporary designs and the lines of some of the late 1960s/early 1970s patterns in my vintage collection. I gathered up all of my favourite elements and had some fun drawing out different combinations. After pinging some ideas back and forth with the Foldline ladies we settled on a combination of dress and top which I adore. The panelled design provides opportunity for mixing prints, colours and textures and the pattern comes with the option for a plain sleeve or additional lantern cuff. Sleeves are huge this season (in some cases literally!) and one of my favourite elements of seventies style is the dramatic swoosh of a wide cuff so Rachel has drafted a bonus fluted cuff pattern piece which you can download for free here! I wanted the design to provide a little bit of a challenge in the sewing as the projects I can get my teeth stuck into are the ones I enjoy the most. 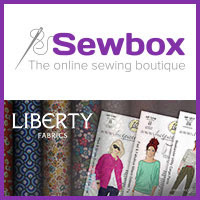 None of the steps should prove too tricky for anyone with a bit of sewing under their belt but the variety of techniques should keep more experienced sewers entertained. 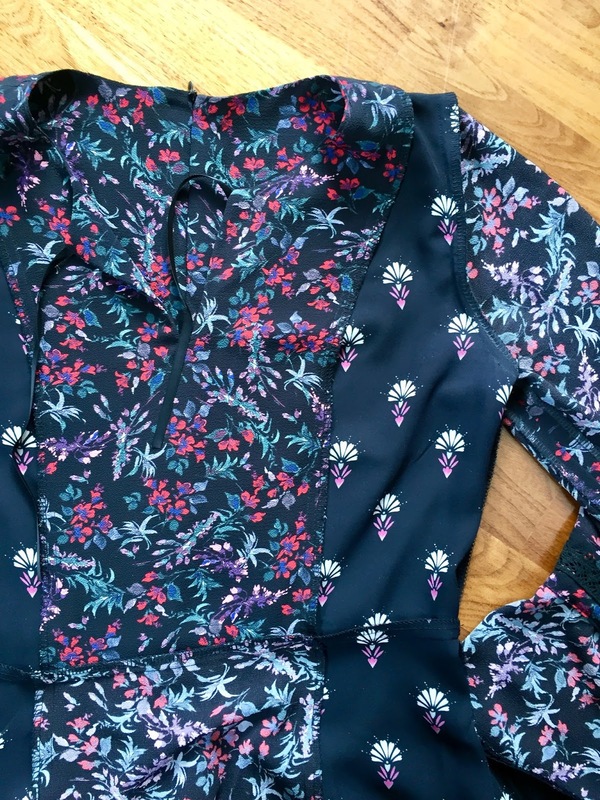 It's not a quick sew as there are quite a few pattern pieces involved but if you can sew a princess seam, an invisible zip and set in a sleeve you can keep it quite straightforward. You can also opt to make the design more complex by adding embroidery to the centre front and back panels or including the lace insertion and trim. The instructions include step by step guidance on how to add lace into the seam between the lantern cuff and sleeve pieces on your machine and I think this may be my favourite thing about the pattern. It's a feature that came up again and again in my inspiration pictures and I'm so delighted that we were able to include it. I'd love to play around with inserting lace into the seams between skirt and bodice panels and even maybe the waist seam. You can recreate Rachel's amazing embroidered version of the top with the embroidery template which is free to download from the Foldline pattern page or get creative and freestyle your own. The centre front and back panels are faced which not only provides a lovely clean finish to the dress but also makes them ideal to embroider as the back of your stitching is completely enclosed and protected. There are also 'colour me in' line drawings of both variations available to download which I'm definitely going to be playing with to plan future print mixed and colour blocked versions. I wanted the design to be versatile and am really happy that I can see it being worn in every season. 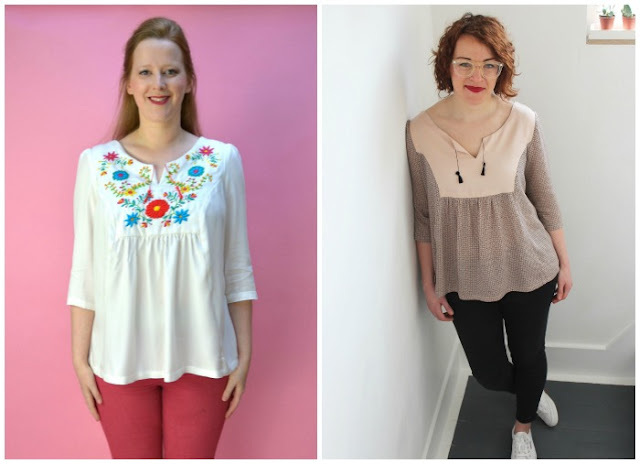 As I first came up with the idea in the autumn I was imagining it in rich, dark florals but now all I can think about is mixed pastel prints for spring. I'd love one in a fresh white breezy cheesecloth for summer and in winter I'd wear it in a bold solid colour layered with warm tights. Made up in different fabrics the lines of the design I hope will remain somewhat timeless and the dress in particular is something I can see myself making various iterations of for years to come as it is the kind of dress that has remained a staple in my wardrobe since my teens. The dress I'm wearing here is actually my very first test of the dress (so please excuse the horrible pattern matching around the waist and slightly mismatched seams!). 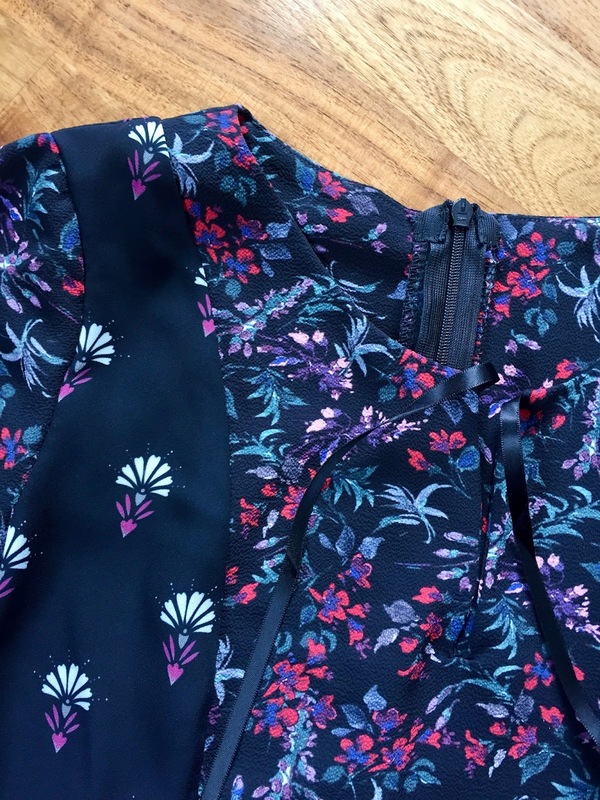 When collecting inspiration for the design at the very start of the process something I was continually drawn to was the mixing of two or more prints in one garment. It can be tricky to do but I started safe with both of these small prints on a black base and love how it has turned out. Both fabrics I bought ages ago from Maggie's fabric stall in Lewisham who stocks end of roll high street dressmaking fabrics at the bargain price of £1-3/m. Perfect for testing. It's almost a shame I've fallen so in love with the mixture of prints on this dress as they are the particularly nasty type of lightweight poly georgettes that I tend to run away from! The floral is slightly softer with a texture to it but the other is not so nice. 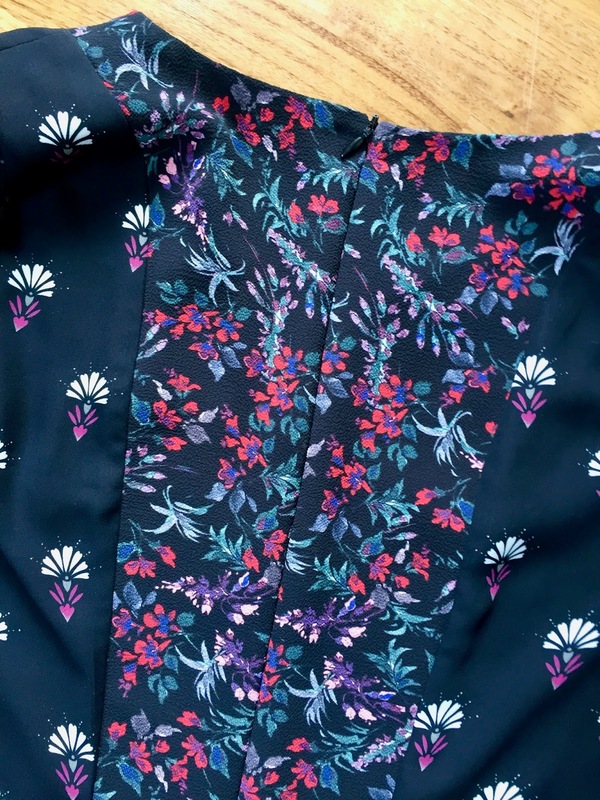 I turned a blind eye to the quality and poly content at the time as I thought they would be ideal to test how the print mixing worked but now wish I'd held out for a viscose! However, worn with a cotton slip they're not unpleasant to wear and as I knew from previous experience that these fabrics would pretty much melt when touched with a hot iron I kept it cool and actually had surprisingly little trouble handling either of them. I recommend reasonably lightweight fabrics with a nice drape for this design. You want some nice movement in the panels of the skirt and top as well as the sleeves and the cut of the bodice is quite relaxed so doesn't require a fabric that will provide structure. 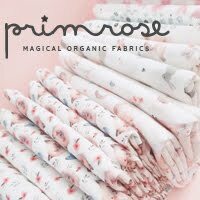 Viscose challis, crepes, soft linens, cotton lawns and voiles are all great choices as would be light to mid-weight silks if you want a more luxurious feel. As long as you keep in mind the movement of the dress the world is your oyster really! If you are going to do some embroidery you'll want something fairly tightly woven and not super lightweight for those panels to make your life a bit easier and also support the weight of the floss. I used some black cotton lace I bought in John Lewis to insert in my cuff seams and also trim the hem. 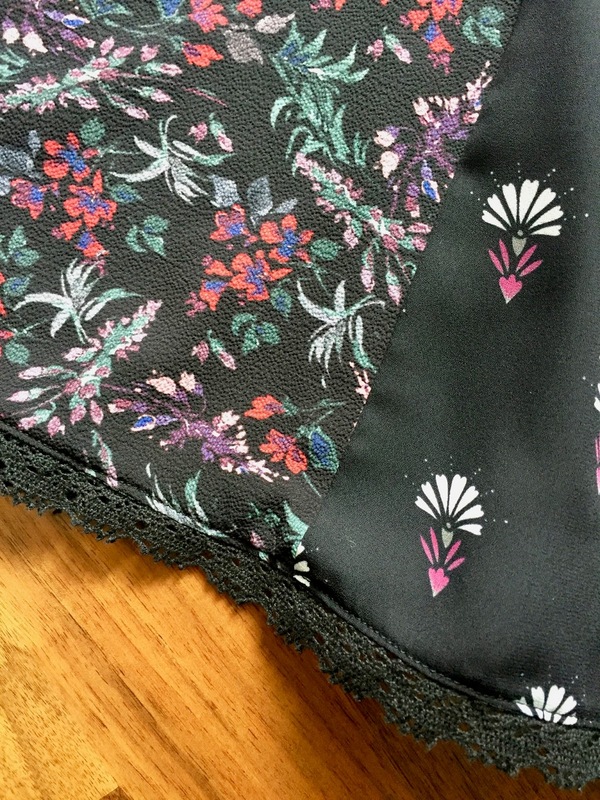 My lace had one straight edge and one scalloped which I made use of on the hem but whether yours has straight of scalloped edges is entirely your preference. The pattern recommends 40mm wide lace as this is the most straightforward way to keep your inserted pieces at an even width following the technique in the instructions (leaving you with about 1cm of visible lace) but if you're happy to get a little creative you can use whatever width lace you like. Mine was just 2cm as I only wanted a hint of it around the hem and I simply used a very small seam allowance when attaching it to the cuffs. As this dress was a test of the pattern the method I used is actually different to the final instructions and you will end up with just one line of stitching visible just above and below the lace rather the two lines you can see in my photos. 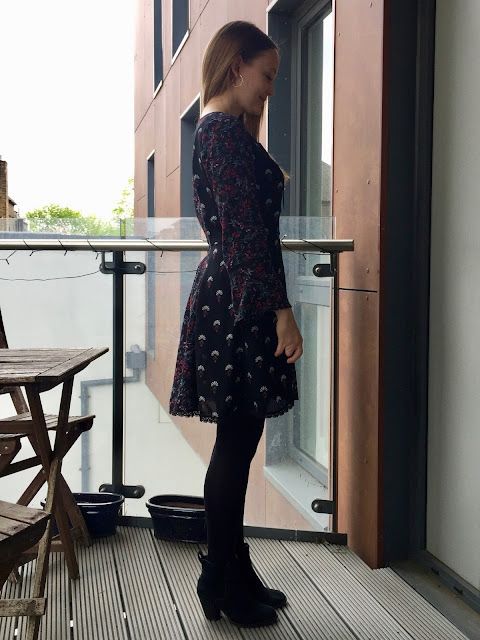 I cut a size 8 which is pretty much spot on my measurements and am really delighted with the fit. 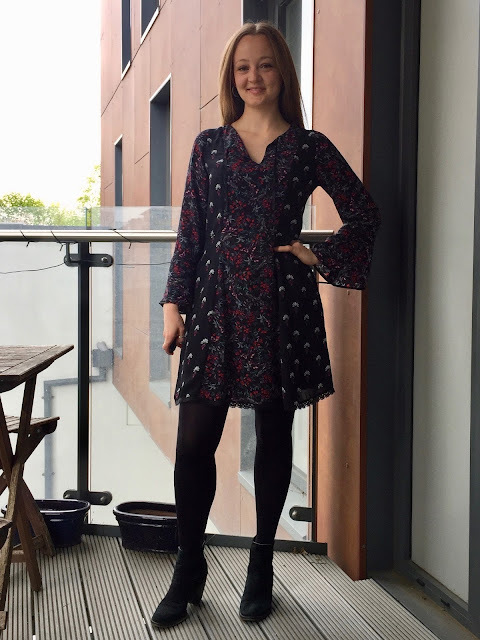 I usually like quite a close fit around the waist and this has 4" of ease but having that room in the bodice provides that that relaxed, bohemian, seventies feel whilst the princess seams still flatter the curves of the body. I like the shape through the back and bust and the shoulders fit neatly. It's very comfortable and I absolutely have that seventies vibe of feeling free in a glamorous way while wearing it! I did shorten the skirt by about 3". I'm 5ft3" so usually end up taking a little off but I wanted more of a mini vibe with these prints. 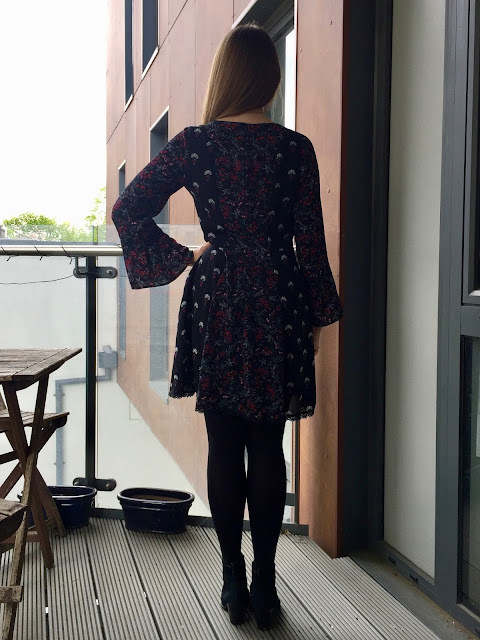 I also shortened the sleeve slightly, which is again a normal alteration for me but I know the instructions for the lace insertion have changed since then so the amount might well be different next time. I love the height and shape of the neckline; I think it's really flattering exposing the collar bone. 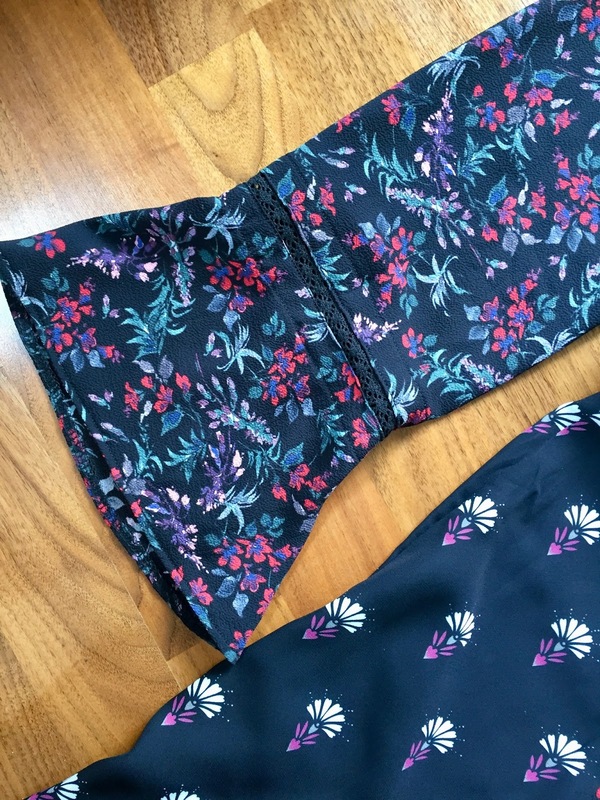 The slit of the dress is slightly longer than the top and you have the option to add in a tie to hold this together or just for added decoration. I've used just two narrow pieces of ribbon on this version but will definitely be trying out some tassels on the next. You can either make your own from embroidery floss or if you live in London I've spotted a great variety of colours in just the right size in both Fan New Trimmings and Kleins. I had initially envisioned it with short tassels but the long ones on this dress are ace! Being more creative with my sewing and trying out adding trims, unique details and mixing fabrics was one of my goals for 2017 and creating this design has inspired me to do just that. 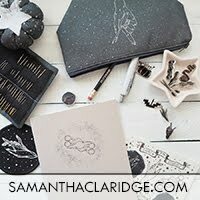 There are a whole host of ideas I want to play around with; I've had to start a Pinterest board to keep track of them all! First up is an embroidered cheesecloth version of the top but I'm interested in trying a version with sheer sleeves and also think it would be delicious in a rich silk/viscose velvet...perhaps lengthened to a maxi for some serious seventies glamour. If I can muster up the patience I might try a hand-sewn fagoted seam rather than the lace insertion technique. I can foresee a summer wardrobe with enough Parkers to wear every day of the week. 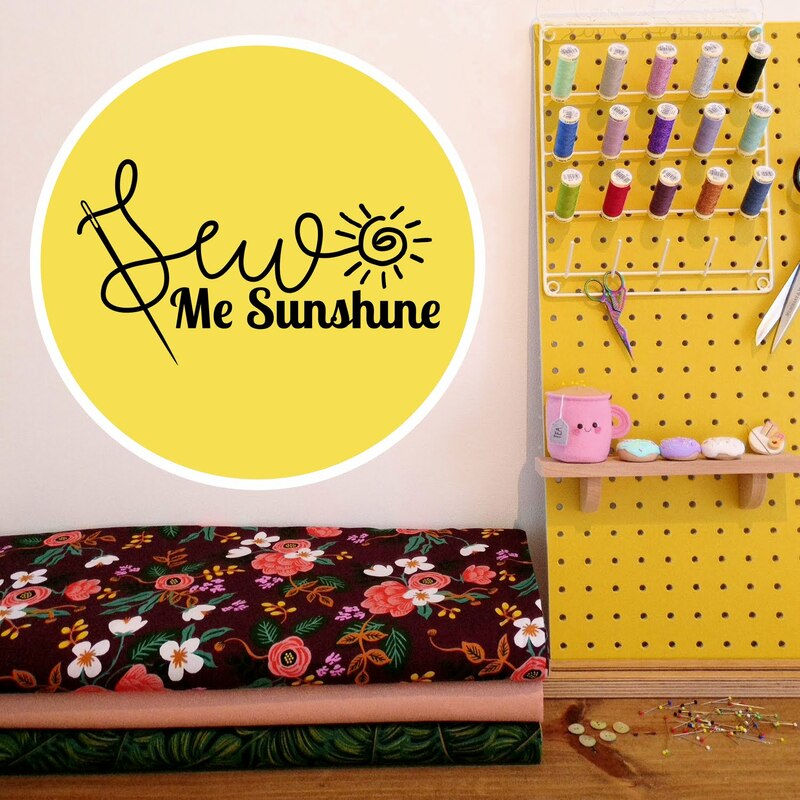 I hope the design inspires you to get sewing as much as it does me and that you enjoy making your own Parkers! Thanks so much to Rachel and Kate for the hard work they put into getting the pattern just right and for giving me the opportunity to work with them. It's a dream I didn't even know I had come true and I couldn't be happier with how it's turned out! Congratulations on designing your own pattern! The pattern is lovely. 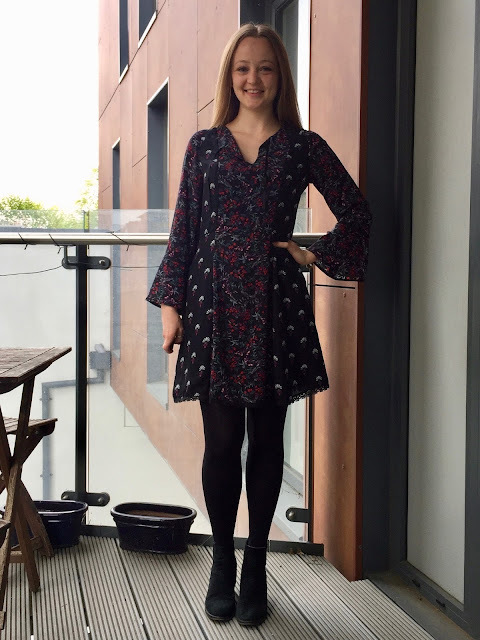 I love the dress that you made, it's gorgeous! Thank you Anna! It's been such an exciting experience and I can't wait to see what other people will make with it. I'm really happy with the mix of prints for my first go but can't wait to make a whole heap more! Thank you Sherri! I've so enjoyed the experience and am very lucky to have had the opportunity. 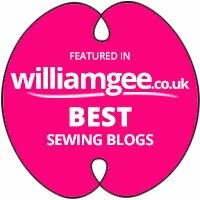 I hope everyone enjoys sewing it as much as I have! This is a lovely dress! I love the style and fit--it is very feminine flattering! I was noticing your neckline where the top of the invisible zip comes to. I always end up with a little "v" at the top where my edges don't come quite together. Try as I may, I have not overcome this. Do you have any suggestions how I can improve this because I am at a loss for what I am doing wrong. Thanks Shirley! I'm so happy with how it has turned out, Rachel and Kate really picked up on just what I wanted and have done a wonderful job with the drafting and instructions. Thank you Fiona! I will try that next time with my zippers!